Blue Line Ferries have an a la carte restaurant, a self-service restaurant, casino, lounge bar, children's playroom, duty free shops, driver's lounge, reception lounge, chapel and open deck bar. SNAV has the latest and the fastest fleet in the Mediterranean composed mostly of hydrofoils and catamarans. SNAV ferries are capable of reaching speeds of up to 38 knots. All of the SNAV catamarans and hydrofoils have cafeterias and snack bars on board. 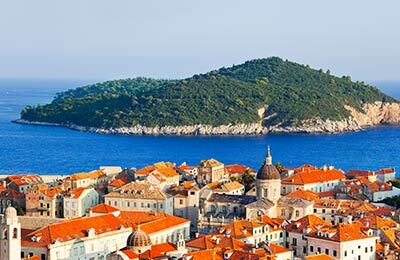 Though representing a part of the diverse southern Croatian archipelago formed by numerous islands, Hvar has been the subject of recognition, distinguished by both its natural beauty and its cultural strata since the early days. Hvar has recently acquired the status of being one of the most beautiful islands in the world thanks to its mild climate with warm winters and pleasant summers along with the gorgeous lavender fields, olive trees and vineyards. Hvar offers endless possibilities to spend your holidays with beautiful sandy beaches, unique gastronomy, high quality accommodation facilities and a cosmopolitan lifestyle along with many bars, night clubs and restaurants. Although Hvar ferry port itself does not have many facilities, various amenities are within reachable distance from the port. 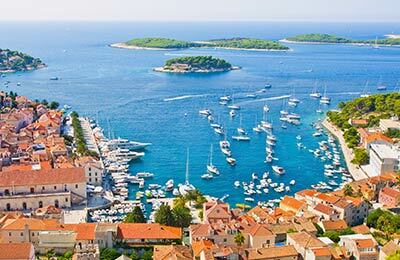 Hvar Ferry Port is easily accessible by road.